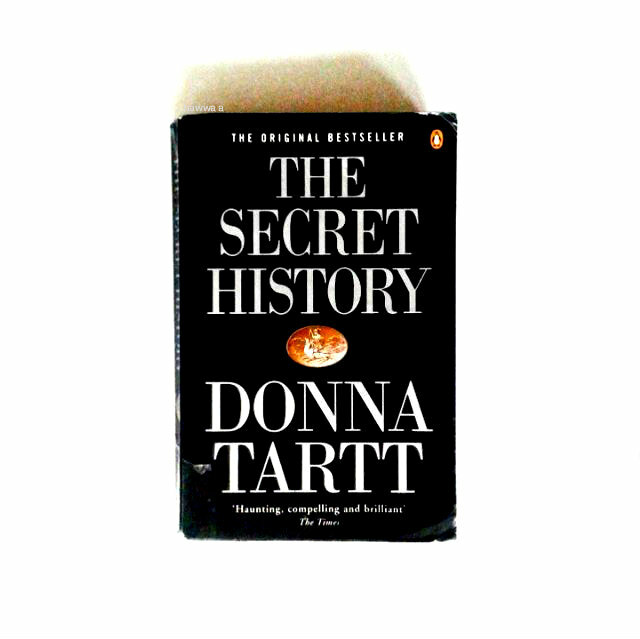 Reading The Secret History is like the slow treading towards the inevitable end of a judge's verdict in court. It is not a whodunit mystery. Early on, the scene is set, and the reader is partial to the fateful knowledge of a catastrophe, which the narrator [Richard] is said to have been "partially responsible". Hence the stage has been revealed, we now are no longer that generic reader of a book consisting of a crime, where we read wildly and ferociously, desperately hoping for our blindfold to fall off at some point in the novel, and for realisation to set in: whether with relief or shock, as the criminal is unmasked. No, Tartt's structure of this novel is beguilingly tactful. The reader is in that engrossing stage of whydonit, almost the entire time; perhaps far more interesting and complex for some, than the who. The 'moment', when it comes, is both alluring and terrible, for it is told within the same sentence as a reference to ferns; possibly because The Secret History is first and formost about people. About awful people, rich and elitist and sociopathic and some totally involved in every way in saving their own skin, so much so - that, as we now know them and feel sympathetic in some strange way towards them - this pairing: of the dreadful and the ordinary, results in an almost aloof manner for the reader, which creates even greater shock within oneself; the juxtaposition shows us how deeply we have been drawn into the story, that we do not feel more than we should. Reading The Secret History is leaving the prosaic world of the day-to-day mundane interactions behind to enter a richly linguistic and literary world of the classics, where the characters spill greek and latin through their lips with nonchalance, enhancing the mysterious and sophic atmosphere that moulds its way around you as you read. This review is the first post in a 26 series of A-Z reviews of some of my favourite *non-review* books in a random order, not following the chronology of the alphabet. Awh that is the nicest compliment ever!! I'll have the ice cream AND the fruit basket..but it depends on the cake. ;) and YES, read it!! (then let me know what you think). This sounds like an amazing book for ones justice and freedom. Freedom is everything, recently wrote about the subject. I'm in need of books that grasp your attention from the start. It's hard for me to keep reading until the climax where it just gets interesting. I'll be back to visit for more reviews! Yay, I'm glad you like my reviews! And this book is definitely amazing, I would highly recommend it! I read this when it first came out and I loved it, but I have had trouble getting through her subsequent books. I wonder if I'd see this one differently if I read it now? Great review! READ IT NOW AND THEN TELL ME WHAT YOU THINK. it was so good. i wish i had my own copy to highlight and scribble all over..
HA. says you. yes yes yes you must read it - i just read your post about your 2016 TBR and IT WASN'T ON THERE I AM DISAPPOINTED.